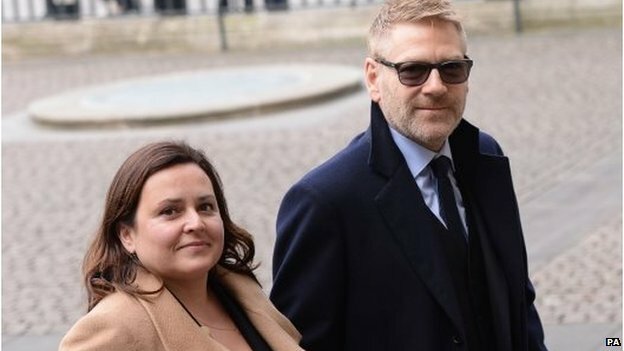 A stellar line up from the British film industry have gathered in central London for a service to remember Oscar-winning director Richard Attenborough. Dame Judi Dench and Sir Michael Caine were among those who celebrated “a truly great man” of stage and screen. 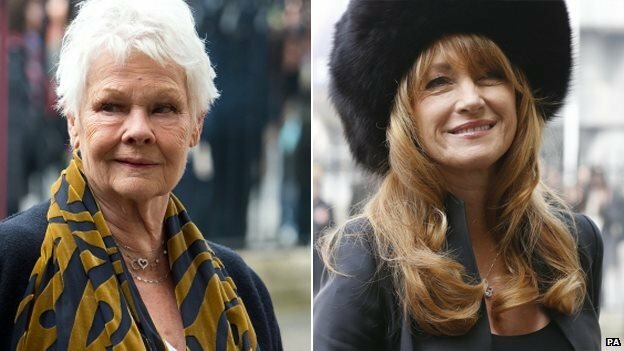 Also attending were Alan Rickman, Jane Seymour and Sir John Hurt. Lord Attenborough, a stalwart of the British film industry for more than half a century, died aged 90 last year. 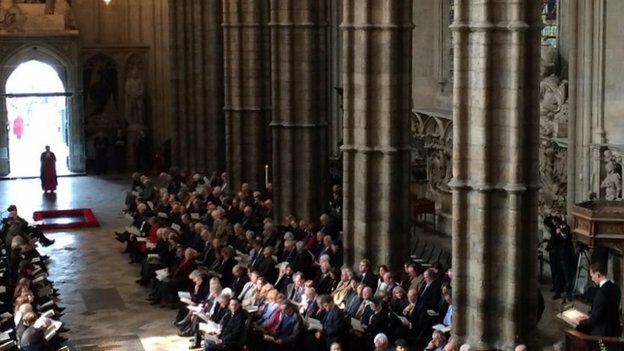 Sir Ben Kingsley and Lord Attenborough’s brother, TV wildlife presenter Sir David Attenborough, were among those who spoke during the Westminster Abbey ceremony. It was led by the Dean of Westminster, the very reverend Dr John Hall. Born in Cambridge in 1923, Lord Attenborough was a respected actor before becoming a celebrated director. He appeared in films such as Brighton Rock, The Great Escape and 1993 dinosaur blockbuster Jurassic Park. Among his career highlights was the 1982 film Gandhi, which won eight Academy Awards, including best film and best director. Sir Ben, who played Gandhi, joined actress Geraldine James to read from Ghandi’s writings during the service of thanksgiving. Hymns included Jerusalem, and there were bible readings from actors Tom Hiddleston and Penelope Wilton. The service touched on all aspects of Lord Attenborough’s life, including the influence his work had on the cultural fabric of the UK. As well as his two Oscars, six Baftas and four Golden Globes, he was awarded the CBE in 1967, knighted in 1976, and made a life peer in 1993. 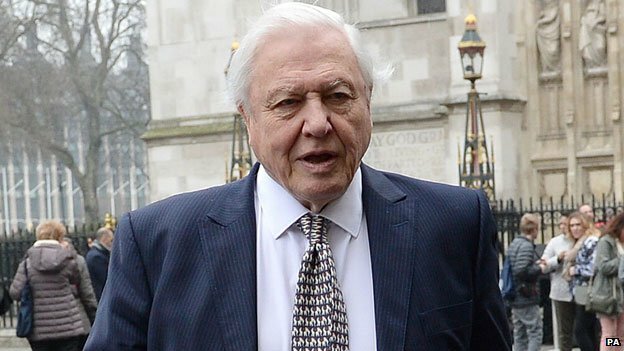 Sir David Attenborough read from Lord Attenborough’s maiden speech in the House of Lords during the ceremony. 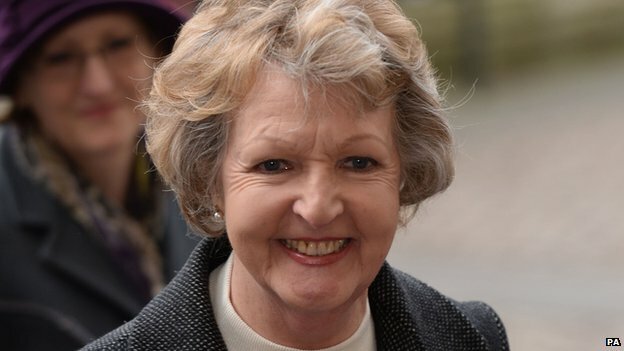 The ceremony, which lasted just under an hour, was “absolutely perfect”, said Dame Judi Dench. 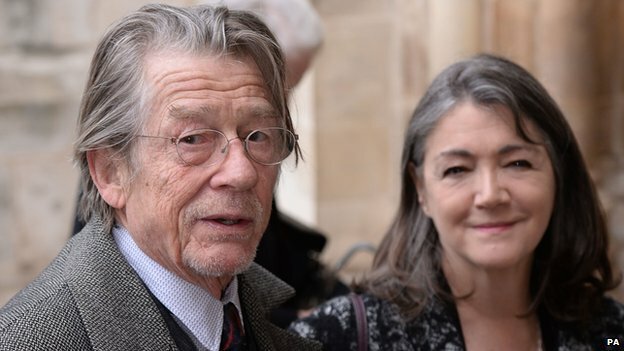 “I think he’d have loved it,” added Dame Penelope Keith, while Sir John Hurt called it “very moving” and “excellent”. Lord Attenborough was married to actress Sheila Sim, with whom he had three children. Tragedy struck the family on Boxing Day 2004 when his elder daughter Jane Holland, and her daughter, Lucy, and her mother-in-law, also named Jane, were killed in the south-Asian tsunami. His son Michael is a theatre director and former artistic director of the Almeida Theatre in Islington, north London, while his daughter Charlotte is an actress.